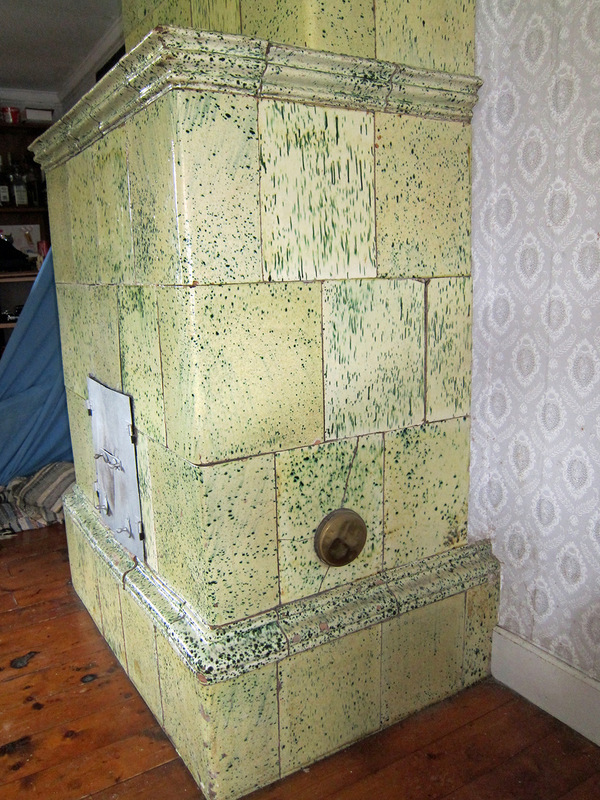 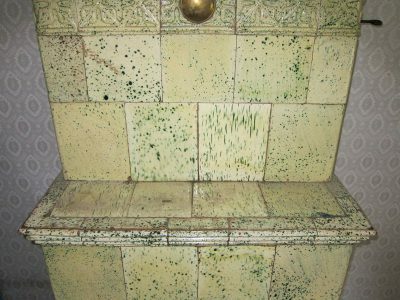 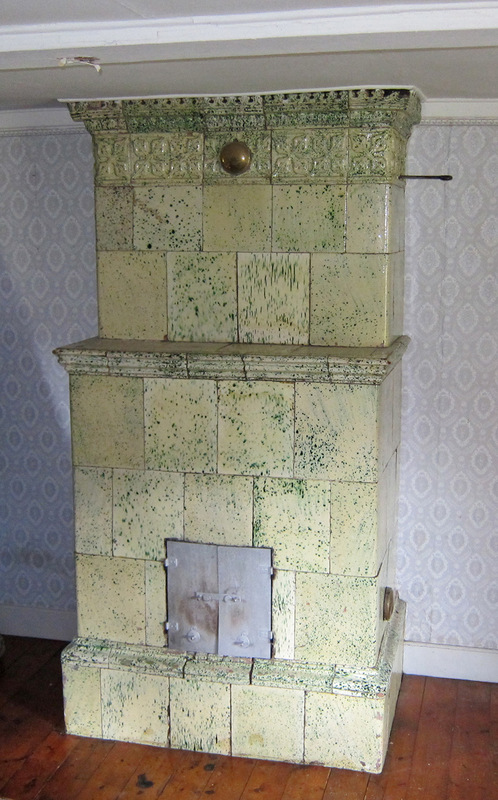 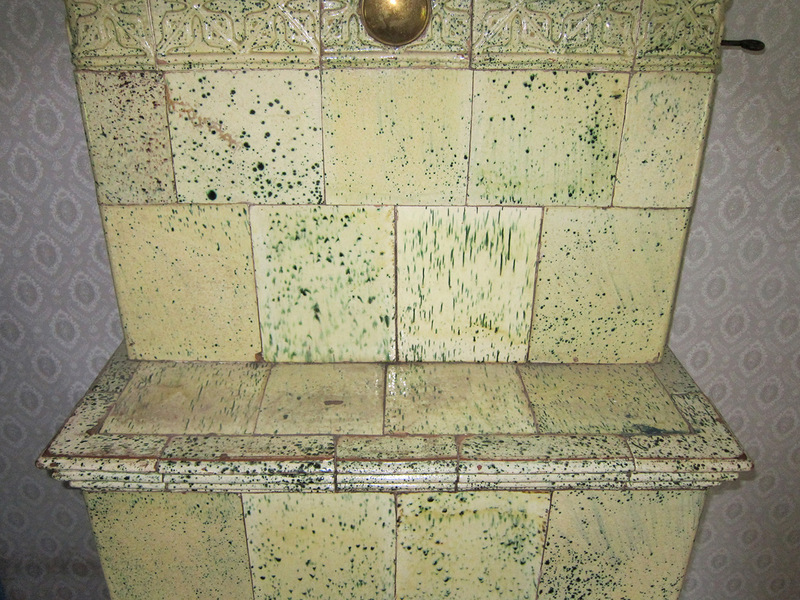 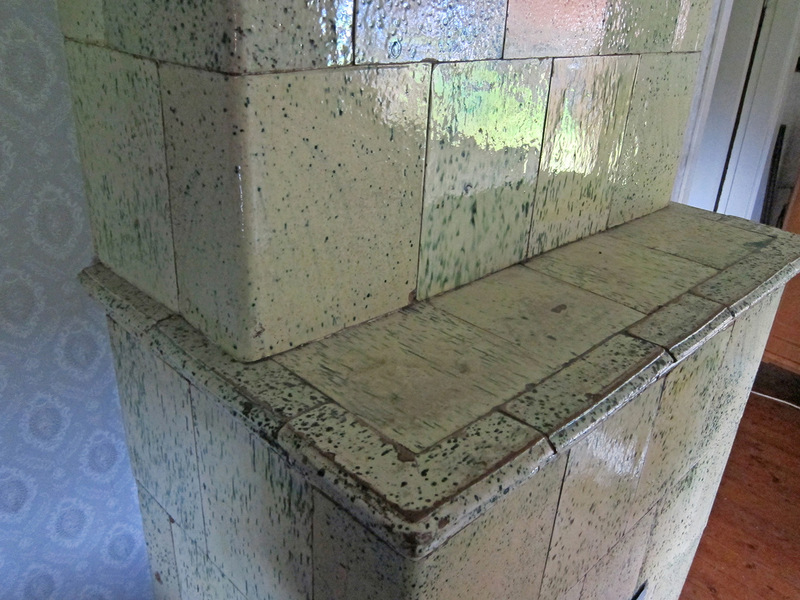 Tiled stove with mottled green decorations, mantel, made for a straight wall, made in ca. 1830. 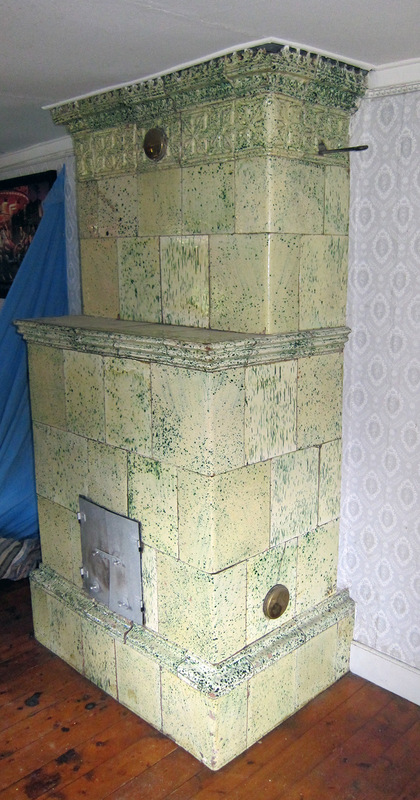 Height 201 cm, Plinth 67 x 101 cm.